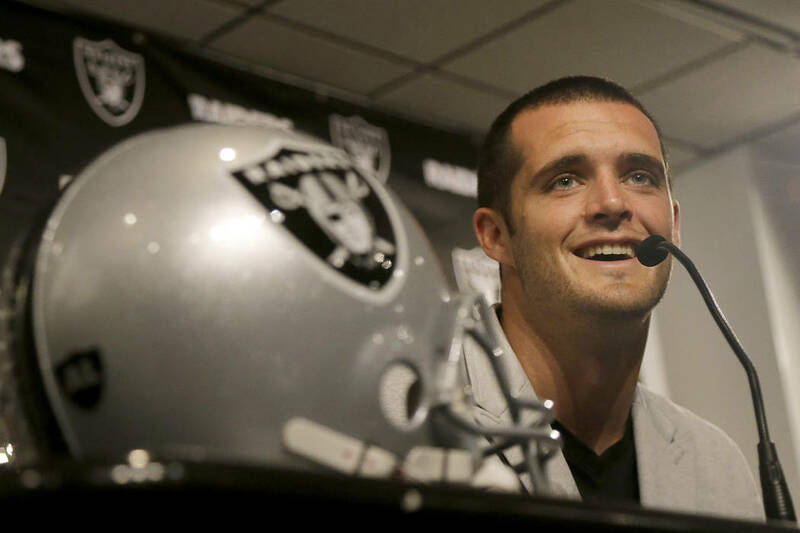 Oakland Raiders franchise quarterback Derek Carr signed a five-year, $125 million contract extension Friday. But the pact, while making him the first player in NFL history to reach $25 million per year, was not entirely money-driven. This day, in part, was for it. The franchise quarterback signed a five-year, $125 million contract extension Friday morning. But the pact, while making him the first player in NFL history to reach $25 million per year, was not entirely money-driven. 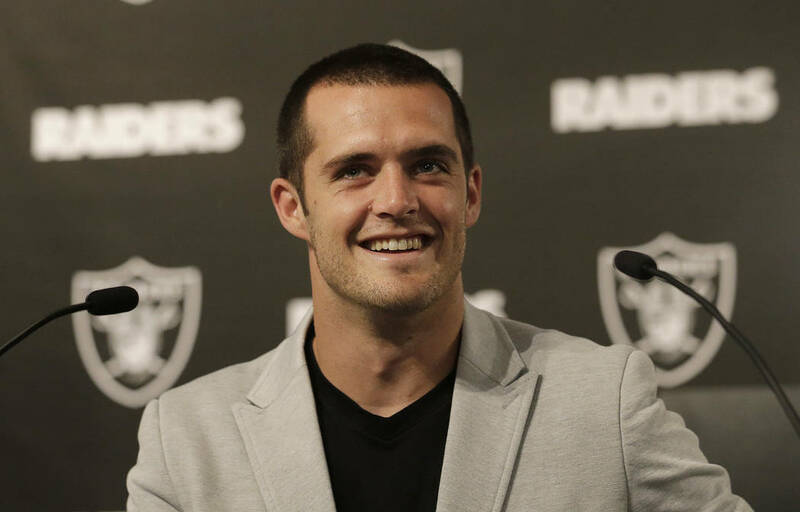 Carr and his agent, Tim Younger, said that their earliest talks centered on Carr’s desire to position the Raiders to extend core teammates, too. As Carr addressed such points in his news conference, a sound was heard from the back of the room. It was high-pitch, coming from the 1-year-old in a white shirt and blue shorts. His wife held the blond-haired boy in her arms. “Dadda! Dadda! Dadda!” Carr’s younger of two sons called. This deal was about that family, too. Carr and the Raiders have added security. The promising quarterback is under contract through the team’s scheduled 2020 relocation to Las Vegas and into the 2022 season. Some cash flexibility was retained in the process. And now, Carr and his family can provide not only for themselves but also others. The Raiders are expected to work actively to lock up right guard Gabe Jackson. He is entering the final year of his rookie deal. Defensive end Khalil Mack and wide receiver Amari Cooper also are due new deals in the coming years. 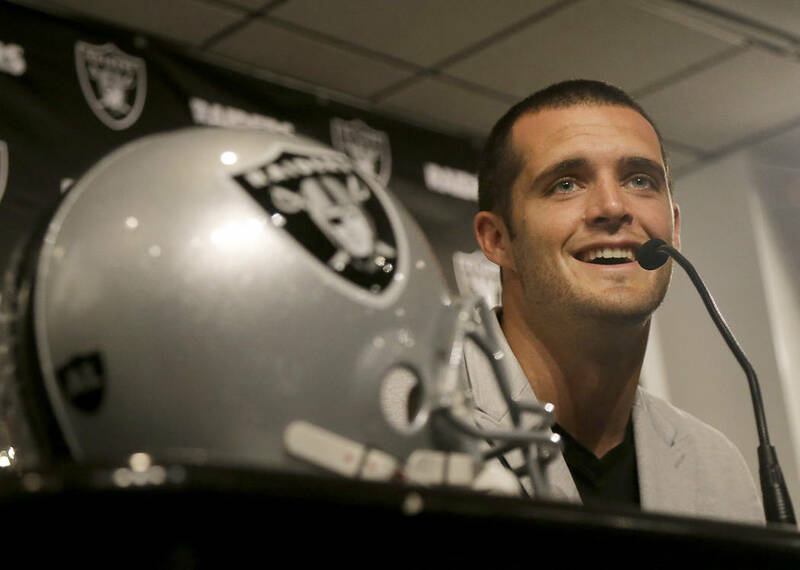 Carr’s contract was backloaded to some extent, certain funds prolonged with the future in mind. Younger allowed that, given the void of state income taxes in Nevada, such a team-friendly approach was incentivized. But it was Carr’s focus not to rob the Raiders of their ability to continue rewarding their young talent. Such was a focal point in their conversations before and during negotiations. 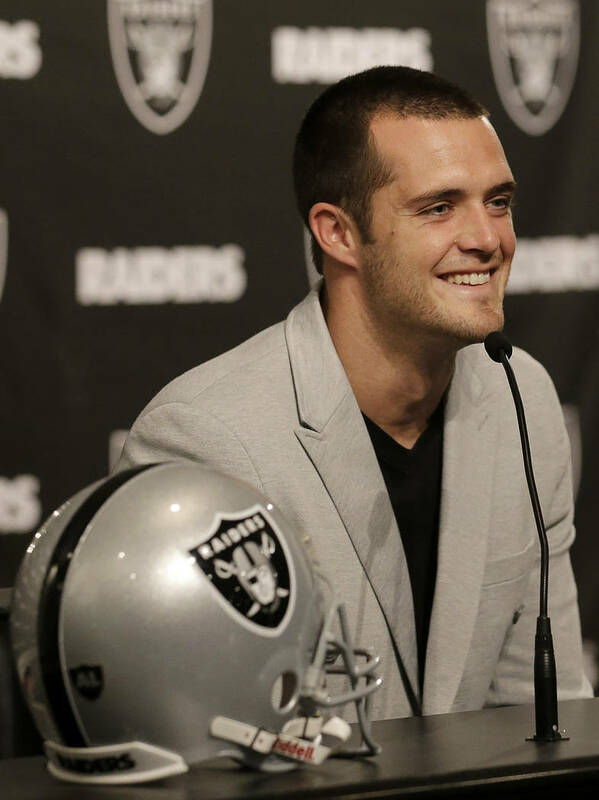 Carr is guaranteed tens of millions of dollars. He knows how soon the game can be taken away from a player. He followed Teddy Bridgewater’s situation; the Vikings quarterback suffered a nasty, noncontact knee injury in practice in August. It could cost him multiple seasons. Likewise, Carr suffered a fractured fibula in December that required surgery and ended his season. Carr’s family, including his wife, Heather, and sons Dallas, 3, and Deker, 1, will benefit off the newfound stability. So will others, he said. 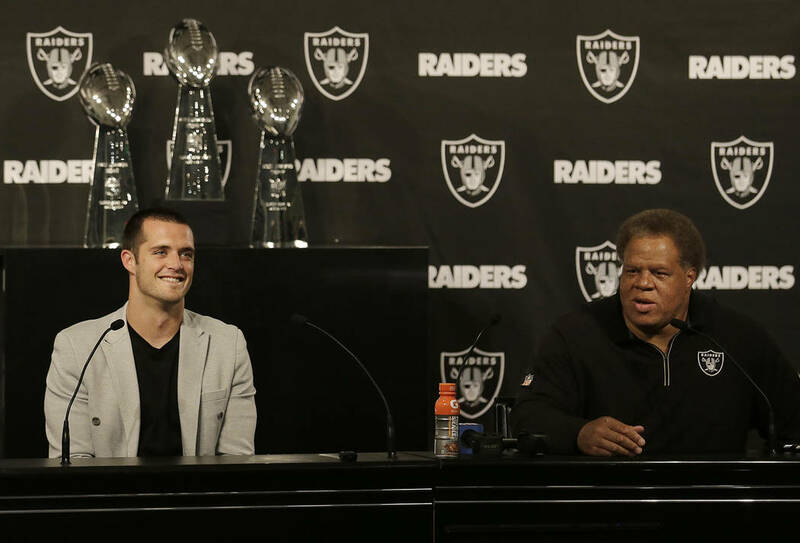 “I’m going to do my best to make sure no one knows what we do with it,” Carr said. “I’ll just say this: I can assure you that it’s going to help a lot of people. I’m not stingy. My business manager will probably be on me like, ‘Hey, man. That’s enough.’ … I’ve been down to Haiti, and I’ve seen some of those struggles that they have and the kids there, and my heart just — I cry sometimes thinking about it. More Raiders: Follow all of our Oakland Raiders-to-Las Vegas coverage online at reviewjournal.com/Raiders and @NFLinVegas on Twitter.